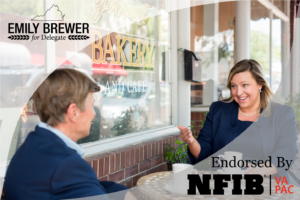 As a small business owner, Emily understands the excessive taxes, fees, and regulations that are strangling Virginia's economy. By keeping your taxes low, cutting unnecessary government spending, and growing small businesses we can begin to attract high-paying jobs to our region. 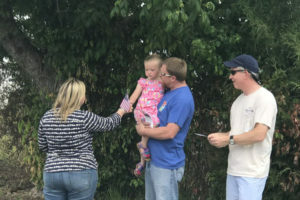 As a member of the House Finance Committee, which hears all legislation relating to taxes, Emily has worked to defeat bad legislation that would have raised taxes and taken more money out of your pocket. 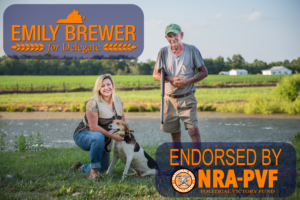 Emily is a staunch defender of our 2nd Amendment gun rights and has been endorsed by both the Virginia Citizens Defense League and the National Rifle Association-Political Victory Fund. As a member of the House Militia, Police and Public Safety Committee, Emily has been strong advocate for the 2nd Amendment and has worked to protect law abiding gun owners. Having been adopted, one of Emily's top priorities has been reforming the Adoption and Foster Care system in Virginia. There are hundreds of children across the Commonwealth that are ready to be adopted, and families that want to provide a loving home. In Richmond, Emily has made it a top priority to streamline the adoption process to give children better options for permanency.